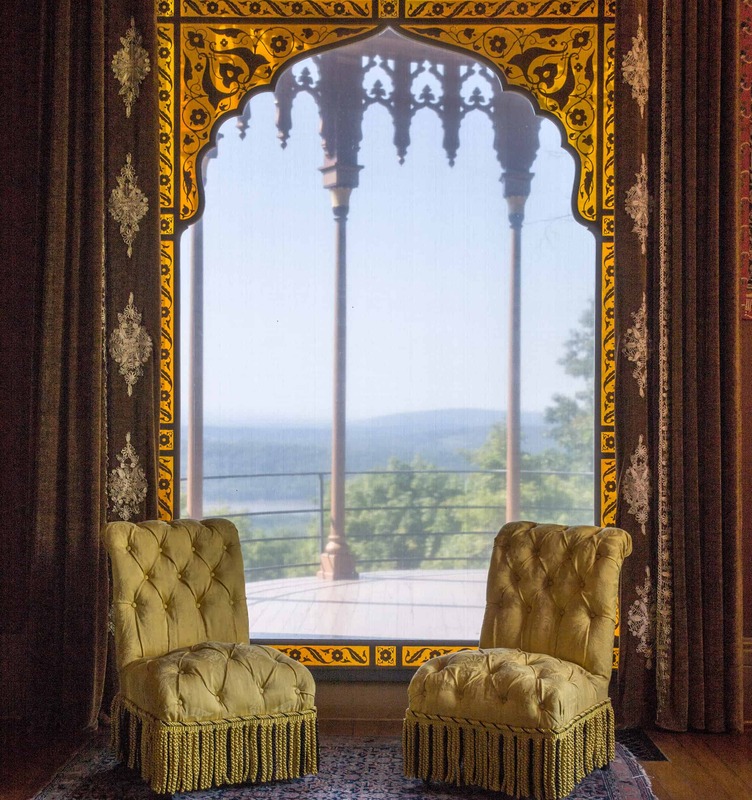 The first floor of Olana’s Main House contains an astonishingly intact collection of furnishings, decorative elements and art. Explore the iconic central Court Hall and the connecting series of designed spaces, including the Painting Studio and the outdoor Piazza with sublime views. This guided tour explores the intact, richly decorated historic interiors of the main floor, including the stunning central Court Hall, the Dining Room, and Isabel Church’s Sitting Room, designed around her husband Frederic’s masterpiece, “El Khasné, Petra” (1874). The highlight is Frederic Church’s richly appointed painting Studio with its spectacular views of the Hudson and Catskills. This participatory experience is best paired with the following tours: Historic Interiors of the Second Floor, any of the Artist’s House thematic tours, and landscape Walking Tours.